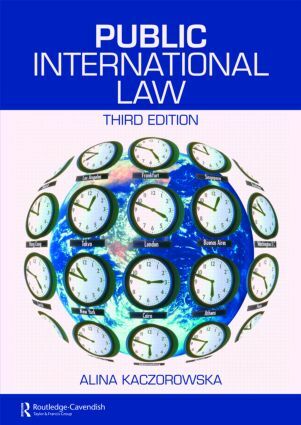 Public International Law provides the user with a readable, efficient, up-to-date and easy to understand text on the fundamental principles of the subject. It analyses new and significant developments in public international law, the most important being the repercussions of the military intervention of the United States and the United Kingdom in Iraq and of the "war on terror". Coverage is included of: the treatment of detainees in Guantanamo Buy, Abu Ghraib prison and other places of detention, the situation in the Middle East after the death of Yasser Arafat, the US government’s new policy aimed at immunising its troops from prosecution in the ICC, the Darfur crises and the new reform of the functioning of the mechanism for enforcement of the ECHR by Protocol 14.